Working on a narrative game. This looks awesome just from the screenshots. Looking forward to hearing more on this one! 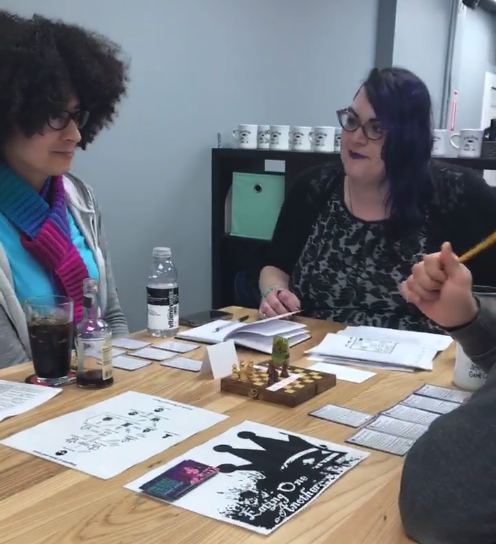 Psst anyone local to Chicago, I'm going to be playtesting this at Bonus Round Cafe's Designer Night on Monday the 9th. Come try it out! This looks rad! 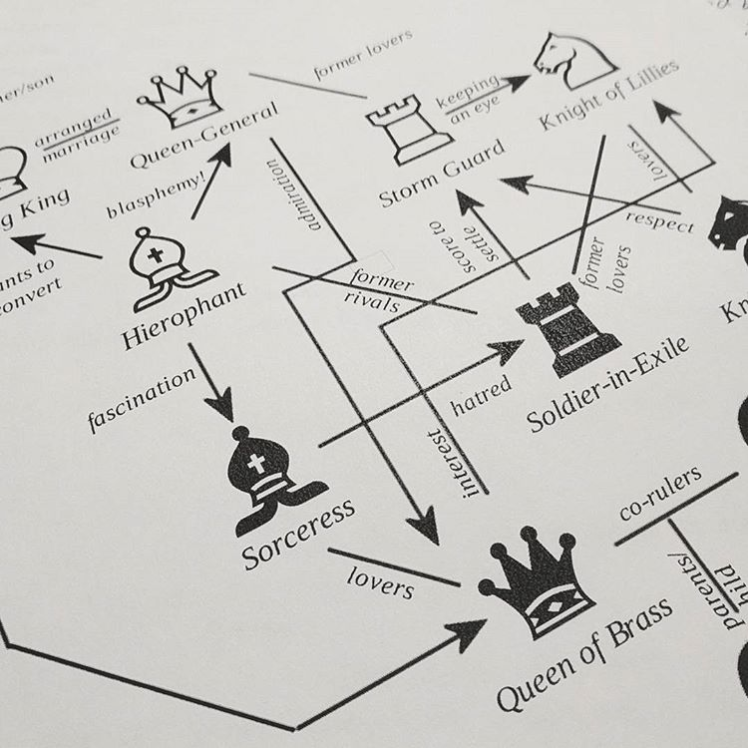 Love the idea of narrative/story in chess. photo from last night's playtest! hoping to have a playtest kit ready and solicit playtesters soon! Updated cards for the second round of playtesting. 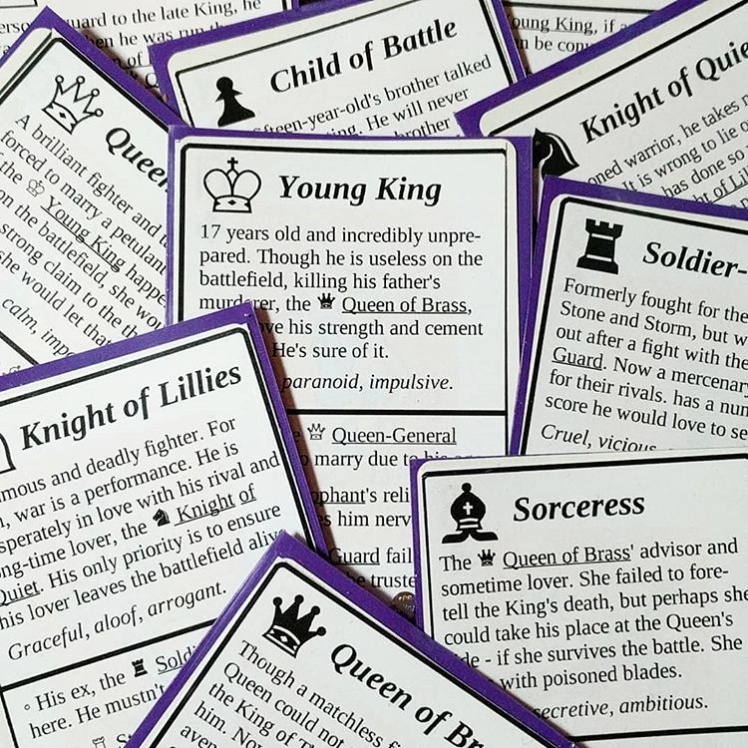 The cards feature character information that guides role-playing. The original versions just straight up had biographies on them, which was a lot of information (and not all of it actually helpful). I've redesigned them a few times to make useful information more prominent, like the character's motivation / goal. 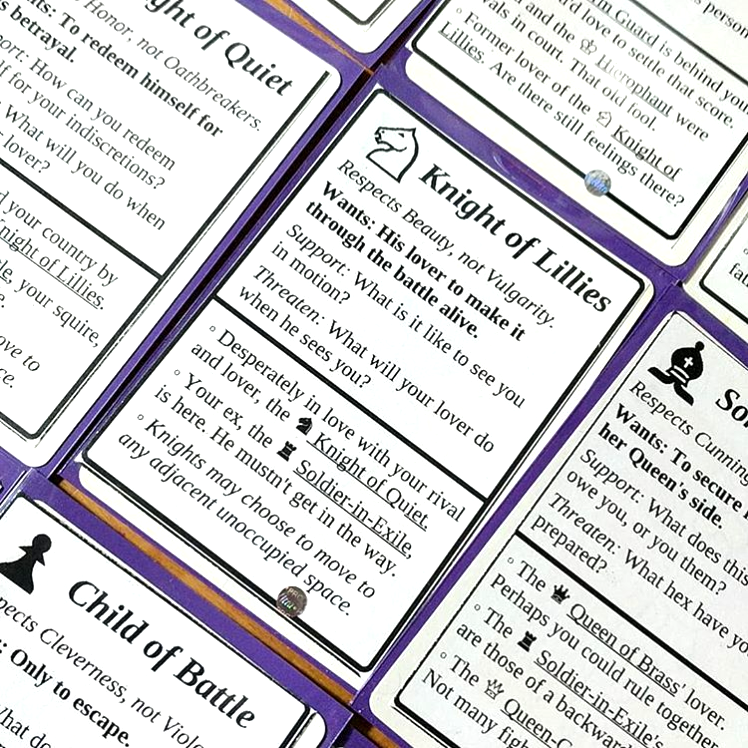 They also contain a new mechanic I'm testing: character-building questions that are unique to each character, which trigger when the piece moves to support or threaten another. We'll see how well they play. Chicago folks: I'll be demoing this game next Saturday (International Tabletop Day) at Bonus Round Game Cafe. Not sure what time yet, but I'll post it here when I know. 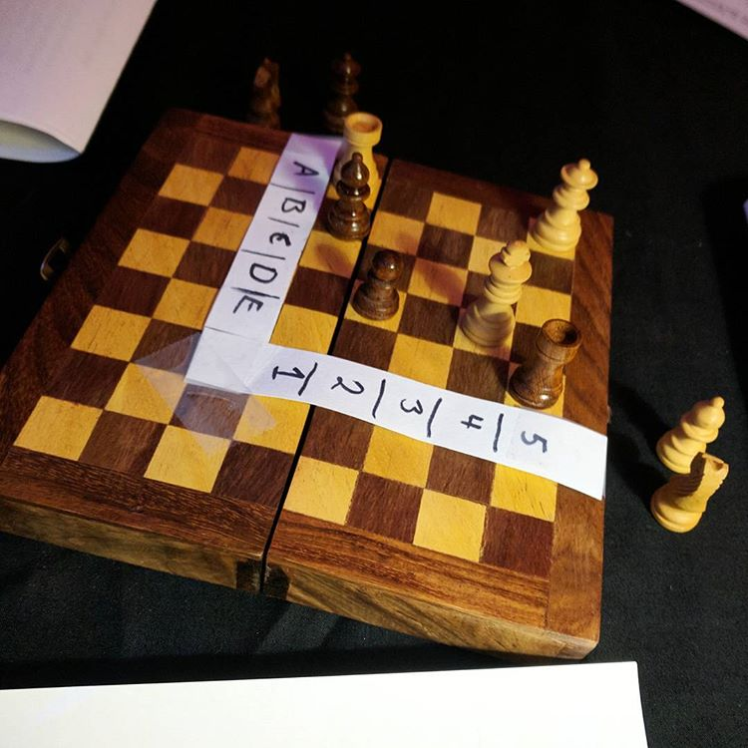 I'll be demoing this game this Saturday at 3 P.M. at Bonus Round! Anyone in Chicago, it would be great to see you.